We are thoroughly enjoying our book - Kensuke's Kingdom. So far we have read up to chapter 4. 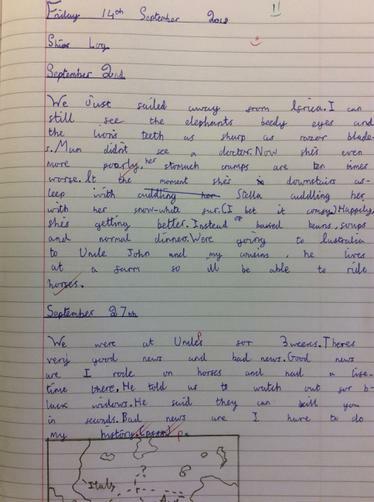 Here's an example of a Ship's Log written by Kajetan in 6R. We come across lots of these in the book as Michael shares his journey across the world with us.